Considered by many to be the world’s finest collection of decorative art, The Victoria & Albert Museum, known affectionately as the V&A, features everything from C10th Egyptian crystal glass to the original artwork of the Rolling Stones logo from the 1970s. The collection covers 3,000 years of art, design, fashion, furniture, glass, jewellery, photography, sculpture and textiles. What’s more, it’s also home to the fabulous restaurant where you can enjoy a meal or afternoon tea and scones whilst admiring the original Victorian decoration. 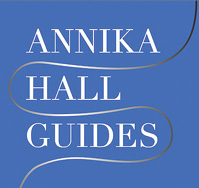 If you have any questions or requests, or you would like to book a tour, please email me at info@annikahallguides.com and we’ll get back in touch with you as soon as we can.